Judge R. Harmon Drew, Jr.
Richard H. Drew, III, J.D. The settlement of Overton had its beginnings in c. 1818, when Newitt Drew established a sawmill and a gristmill at the confluence of Cooley Creek and Dorcheat Bayou. The original settlers migrated from Wilson County, Tennessee. A Tennessee deed dated November 22, 1816 indicated that he was moving out of Wilson County. (1816 - Dd Bk F, p.109, Newt Drew to Sam Steele 200 acres on Cedar Lick Creek). He was appointed to serve on a grand jury in Hempstead County, “AR” , 27 Dec 1819. Some reports have Drew living on “Black Lake” in 1817. This was presumably the same Black Lake that was on the Lower Dorcheat. However, there was a Black Bayou on the Upper Dorcheat. For more than a decade, Drew's location was the northern terminus of navigation on the Bayou and a business community grew up around the mill. Eventually, the town developed and became the 2nd Parish seat of old Claiborne Parish in 1836. It remained the Parish Seat until 1846. As late as 1970 the original grist mill stones could still be found at the old mill site. Richard Carey remembers seeing those stones and said they were about 2 1/2 feet in diameter. Over the next few years commercial traffic and Overton grew. The economic life of Minden centered around commerce on Bayou Dorcheat. Three separate landings on the bayou served the Minden community, and the town served as a shipping point for goods from much of the interior of North Louisiana. Before the War Between the States, warehouses and commercial buildings extended from more than a mile along the East bank of Bayou Dorcheat. 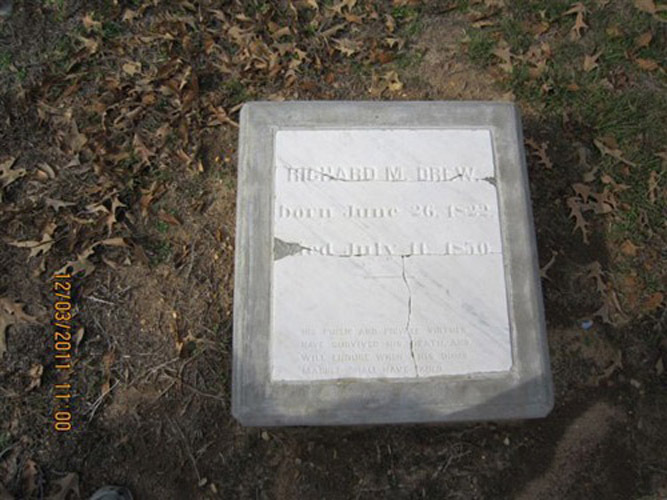 Newett James Drew was born February 26, 1772 in Southampton Co, VA, and died May 26, 1842 in Overton, LA. His grave cannot be found. He married SARAH (SALLY) MAXWELL July 07, 1799 in Wilson/Davidson Co TN, daughter of Colonel Thomas Maxwell and Rebecca Harman. Sally Maxwell Drew was born May 23, 1781 in KY, and died May 22, 1860. Records have her being buried in Caddo Parish. After Thomas Maxwell was killed at the Battle of Maxwell’s Gap, Rebecca married John "Hermitage" Hays. Their child Harmon A. Hays was the Father of Jack Coffee Hays of Texas Ranger history. In 1817 James Cloyd Drew(b. 1800) and his brother Thomas Stephenson Drew(b. 1802) left Wilson County, Tennessee, and traveled to Trenton Louisiana. Half way on this trip down the Tennessee and Mississippi Rivers in their 3 small canoes, they gave out of food and ate berries, fish, and wild game to survive. 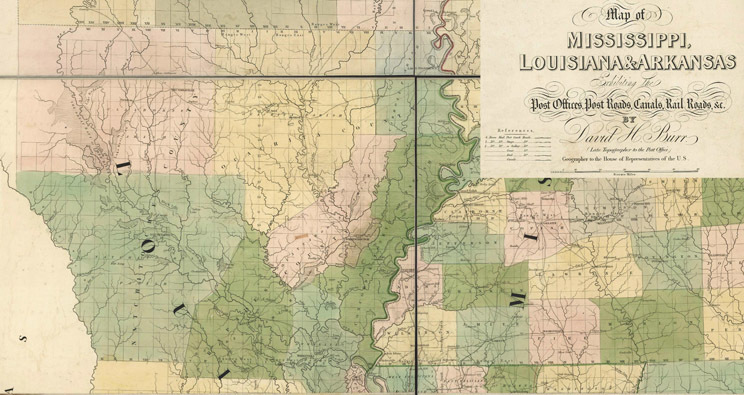 They returned to Tennessee and told their Father Newett Drew about the land in northern Louisiana, and shortly afterwards, several families made the trip and settled at Overton. This included the Drew and Bonner families. 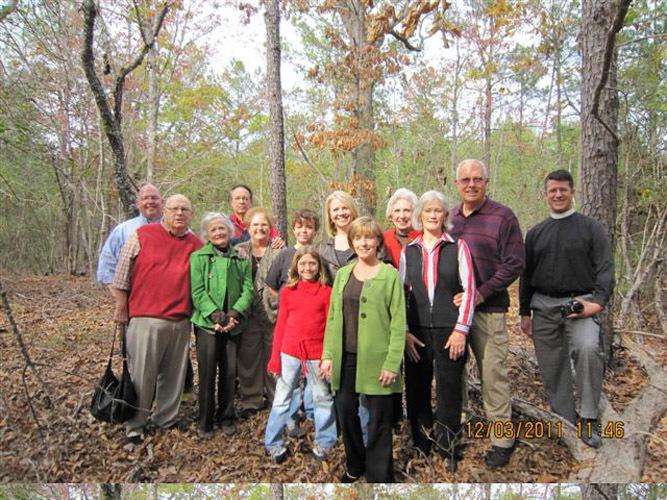 The Wilhite family settled in northwest Ouachita Parish. Several Wilhite families still live in Pointe. James Cloyd Drew migrated to Clarke County, Arkansas in 1818 where he became county clerk from 1822-1826. Later he moved to Ouachita Parish, LA, and on May 17, 1826 married Amy Laura Larche Drew. He donated land that became Drew School in his later years. Thomas S. Drew was born in Tennessee, August 25, 1802. He moved to Arkansas Territory in 1817, settling in Clark County, where he served as county clerk from 1823 to 1825. Thomas S. Drew became the 3rd Governor of Arkansas from 1845-49. In 1846 he wrote papers concerning the family history and these are in the Old State House Museum, Little Rock. Multiple records indicate that the Drew family migrated back and forth from Overton to southern Arkansas. It is also apparent that times were very tough for the families at Overton and that the children did not stay with their Father for long periods of time. The exact dates of arrivals and visits are impossible to ascertain, mainly because all recorded records burned up in the Athens fire of 1849. From I-20, take the Minden exit south, and go only 1/10 mile on highway 371 and take a right onto Webster Parish Road 1107(Tom Crichton Road). Proceed 0.6 mile down the gravel road and one can find Overton. 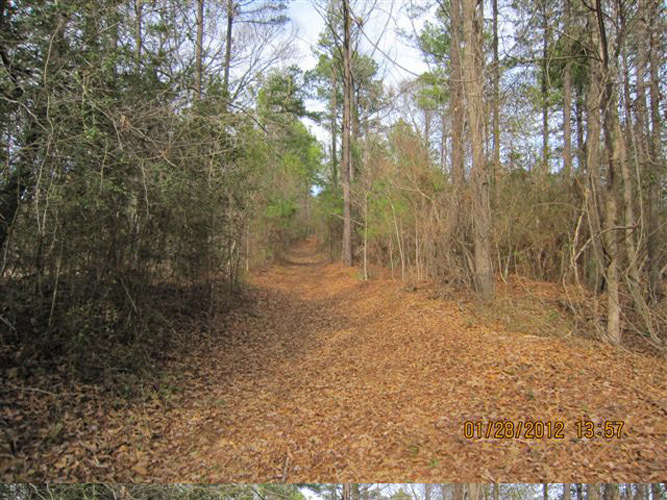 The Overton Cemetery is about 0.25 miles up the cemetery road. The path is cleared. All of the north part of the cemetery was destroyed by construction crews in 1959 as I-20 was being built. 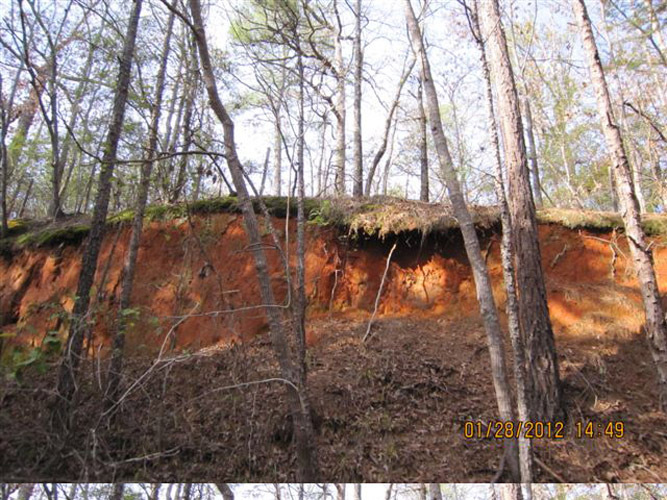 Some of the older Minden residents, including Herman Ratcliff, recall that the landscape was rolling hills with no excavation markings as late as the mid 1950s (Cemetery). There were excavations and diggings around 1929-30. Harold Barrett grew up in the area on Sibley Road and he says that work did not involve the cemetery. There were many residents of Overton who were buried in the old cemetery but their graves were destroyed by I-20 excavation in 1958-59. A replacement fence and gate were put around the cemetery in the late 1950’s and still stands today. (Dr. Newman was buried at Overton but his tombstone was illegally removed by vandals. As has been recognized in multiple online publications, there are now 4 existing tombstones at Overton Cemetery. Prior to the illegal moving of Dr. Newman’s tombstone, there were five. 1. 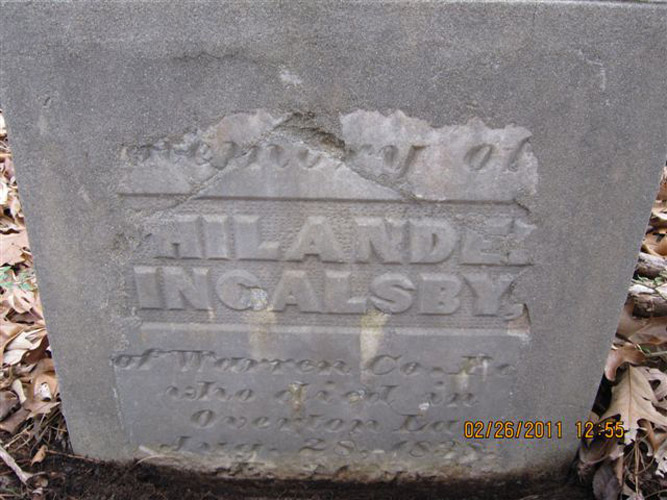 Philander Ingalsby: the historical advisor from the county in which Mr. Ingalsby once lived has been contacted. He had no information on Philander. Mr. Ingalsby would appear lost in time until others can pursue the subject. His tombstone is the oldest to be presently found at Overton Cemetery, that being 1838. 2. Dr. H.S. Newman was the area physician. He originated from Warren County, PA. There is a small amount of information on him while he lived in Louisiana. Email discussions have occurred with the county historian about Dr. Newman, but no records were obtained. Dr. Newman died August, 1859. His tombstone was removed from the grave site by thieves. Sarah D., the wife of Dr. H. S. Newman, died July 30, 1827. The inscriptions recording these deaths were all cut upon rude stones native to the soil. 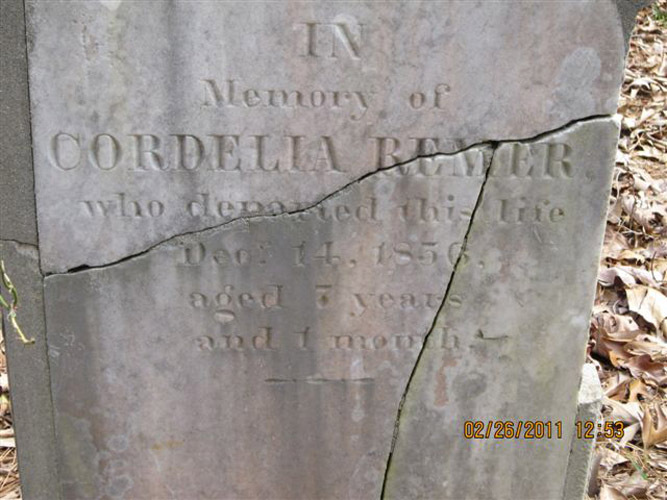 Within five years Dr. Newman’s daughter died and was buried next to Sarah in Oakland Cemetery, Warren County, PA. Shortly afterwards Dr. Newman and Richard Alden(married Betsey Newman: 1/27/1827) left Warren County to venture to Louisiana. Other Alden relatives were living in Claiborne Parish at that time. Richard Alden stayed only one year and returned to live his life out with his wife and four children, in Warren County. 3. Richard Maxwell Drew lived only 28 years but he lived long enough to have one child, Judge Richard Cleveland Drew. Judge R.C. Drew had several children and some descendants live in north Louisiana in the Minden, Springhill, Shreveport, and Ruston areas. R.M. 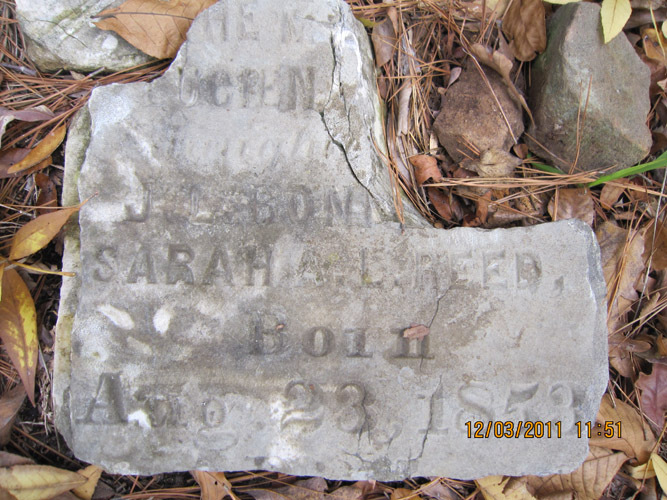 Drew's wife was Sarah Jessie Cleveland, died Homer, La., May 31, 1875, age 49, and buried at Overton Cemetery. Sarah Jessie married Dr. W.W. Arbuckle, of Homer and had 2 daughters. Her grave was destroyed in 1958-59. Sarah Jessie Cleveland was the daughter of James Harvey Cleveland and Sarah Williams Thompson Cleveland. Sarah Williams Thompson was the daughter of Judge Waddy Thompson and Eliza Williams of South Carolina. 4. Lucien Olivia Bonner was the child of J.L. and Sarah Reed Bonner. The Bonner family migrated from Tennessee. Parents of J. L. were Josiah Bonner b. 5/5/1787 SC died 12/9/1851 in West Carroll, Louisiana, who Married Nancy Williams Hubert b. 10/20/1791 and died in Madison County, Mississippi. Joshia and Nancy were married 2/12/1810 in Clarke County, GA. Lucien was the granddaughter of Jane Hays Drew Scallorn Reed and Jane was the daughter of Newett Drew. James Lucien Bonner married Sarah Ann Laura Reed on October 31, 1851 James L. Bonner died September 13, 1853, shortly after his child Lucien died. James is buried with another infant son in West Carroll Parish Old Forest Cemetery. Bossier Parish Marriage Book B, p. 197. State of Louisiana Parish of Bossier. “To A.E. Clemmons or to any minister of the Gospel or Justice of the Peace authorized to celebrate within the parish of Bossier Greeting; you are hereby authorized and empowered to celebrate marriage between Mr. Benjamin S. Ward of Bossier Parish and Mrs. Sarah A.L. Bonner residents of Claiborne Parish and State to join them together in holy Wedlock according to the Law. Given under my hand and seal of the District Court this 4th of May 1855. 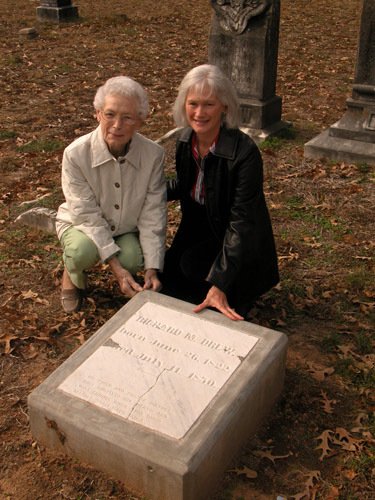 Sarah and Dr. Ward moved to Texas and are buried there along with their infant child. Jane Hays Drew was born on 4-14-1806 and died 1-6-1850 in Claiborne Parish, Louisiana. She died from complications of childbirth. She was buried at Overton Cemetery. Her grave has been destroyed. After Mr. Reed died Jane married John Geren, Jr. The child of John Geren, Jr., and Jane Hays Drew Geren was Harmon A. Geren, b. 2-14-1833. 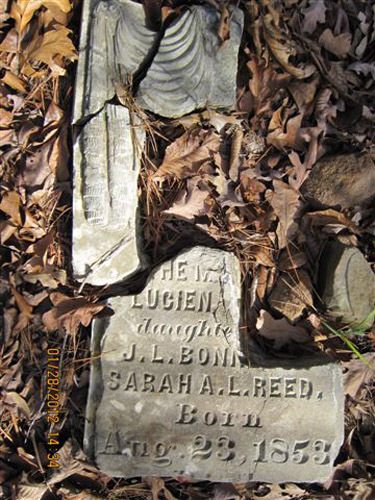 There are many Geren family members buried in Old Minden Cemetery. George R. Remer, c. 1805-1869, was born in Oneida County, NY. In 1837 he was in New Orleans, LA where at least one of his children was born. In the 1850 Census for Claiborne Parish, LA he was listed with his wife, mother and children. All children are listed as being born in LA. His mother was Elizabeth Remer (b. Abt. 1784). He was the father of Margaret A. (1837-) married James M. Jones in Bossier Parish, LA on 1/6/1857. ; Georgianna (1838-before 1900) married on Sept. 27, 1859 in Bossier Parish to John Andrew Jackson Inabnett (1834-1908), and the child buried at Overton, Cordelia Remer. These Inabnetts were the G-G-Grandparents of Henry, Joe, and Johnny Inabnett, all MHS graduates. Captain George R. Remer died February 12, 1869 while on board the "Mittie Stephens" Steamboat that caught fire and sank in Caddo Lake, TX. Then climbed the prow and took a landsman's trade"
‘Bonita’ is the actual the name for one of many packet steamboats that made regular passage from Red River into Lake Bistineau. She served the Port of Overton near Dixie Inn, Louisiana in the early to mid 1800’s. has made us who we are today. what they began so long ago. wherever we may establish a home. Saturday, December 3, 2011, A.D. Dedicated to the memory of Richard Drew Carey 1934-2013, Drew Joseph Boswell 2012-2014, and Jerry Huddleston.